Influenza viruses belong to the family Orthomyxoviridae. 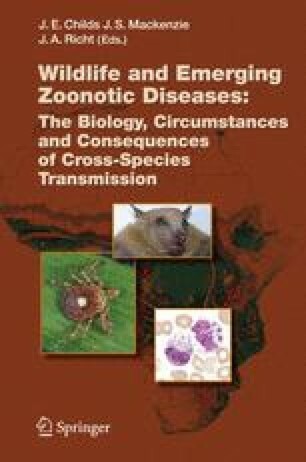 Genus Influenza A viruses are true zoonotic agents with many animal reservoirs, whereas genus Influenza B viruses are generally considered to be a virus of humans. The genome of influenza A viruses consists of eight unique segments of single-stranded RNA of negative polarity; they are typed according to their surface proteins, hemagglutinin (HA) and neuraminidase (NA).